As the cryptocurrency world continues to mature, crypto traders are being presented with an ever increasing range of services designed to help simplify the trading process, and help traders of all experience levels to record consistent gains. 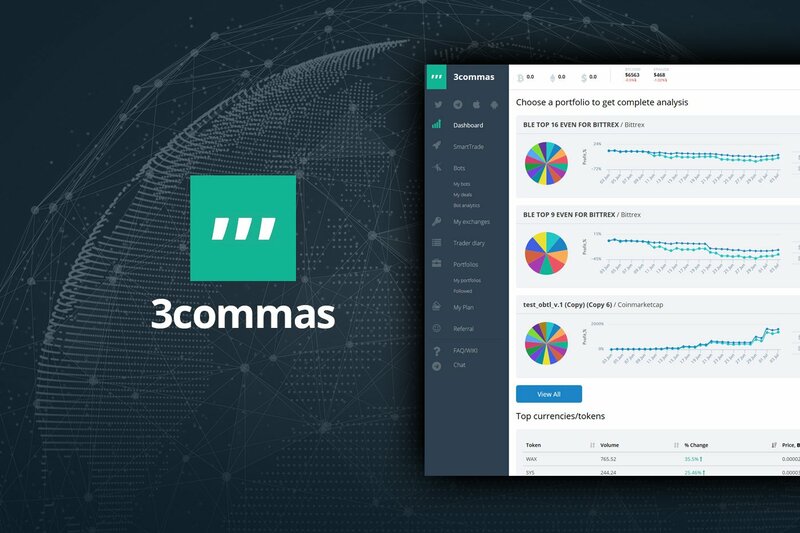 3Commas is a comprehensive cryptocurrency trading platform that allows its users to make use of automated trading bots as well as follow and copy the actions of successful traders and to create and track top portfolios. In addition, users are able to engage in smart trading and customize their own trading strategies, and set up stop loss and take profit commands. While 3Commas is free to try, there are a number of monthly membership packages that incorporate various features. The starter package costs $25 a month, and allows for interaction with one exchange, five trading pairs The advanced package allows for interaction with two exchanges, all the trading pairs. The pro package allows for integration with an unlimited number of exchanges and the employment of an unlimited number of trading bots. The majority of trading bots are either difficult to use, especially for new traders, or don’t operate in the way expected. 3Commas appears to have solved these problems by producing a trading bot that is both easy to set up and use and also performs reliably when compared to many of its competitors. The system is well integrated and works on number of leading exchanges such as Binance, Coinbase, and Huobi. The 3Commas trading bot allows both novice and more experienced traders to maximize their trading potential by taking part in a twenty-four hour market without fear of any potential areas of inefficiency. The Dashboard is easy to navigate and users are able to select a number of options with regards to configuring their trading bots, in addition there is a good amount of instructional information available, as well as detailed analytics on the bots’ performance. Furthermore, the incorporation of features such as portfolio creation and tracking, and social trading make 3Commas a solid option for anyone interested in adding automated trading to their cryptocurrency trading protocols.